Remain in Me: What if the Christian Life was as Easy as Just Staying in One Place? You only have ONE Job…to REMAIN. “I am the true vine, and my Father is the gardener. He cuts off every branch in me that bears no fruit, while every branch that does bear fruit he prunes so that it will be even more fruitful. You are already clean because of the word I have spoken to you. Remain in me, as I also remain in you. No branch can bear fruit by itself; it must remain in the vine. Neither can you bear fruit unless you remain in me. (John 15:1-4 NIV). In the last of the seven great “I am” statements that John recorded for posterity, Jesus claims to be the true vine. In an agricultural society, this may have resonated more deeply than it does today, but it DOES sound more personal than “I am the Wi-Fi, and you are the device.” So step back into a somewhat simpler analogy and consider for a moment that you are a branch on the vine. 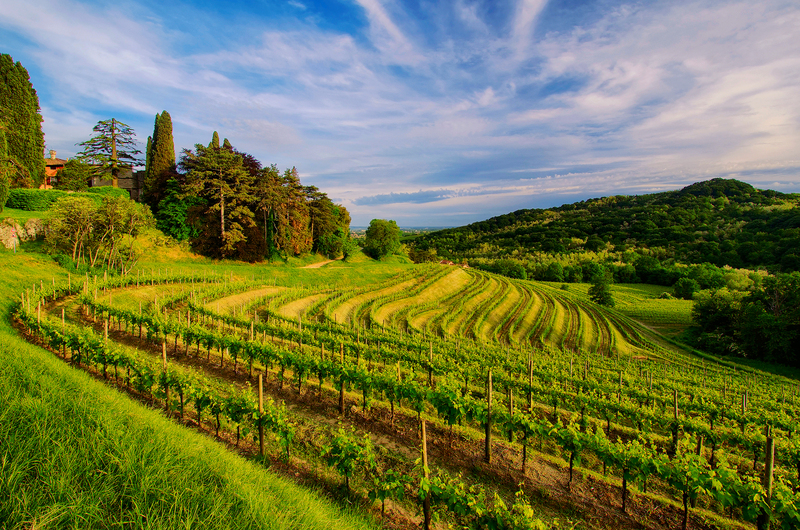 Perhaps you can picture a vineyard (like Jesus’ listeners would have), with orderly rows of plants that have been cultivated and cared for. Left to themselves, the vines would be wild and unkempt, but the perfect symmetry of the vineyard suggests planning and hours of work. Focus in on one plant. The vine is about as thick as a man’s arm, and grows to a height of about 4 feet, with the branches going up another two to three feet from there. From the ground up, your vine has clean lines that are unmarred by unruly shoots or stragglers until it spreads out in glorious abundance at the top. The branches extend in an orderly fashion, and every one of them is laden with rich, colorful fruit. Just picture the clusters of deep Concord blue grapes that hang seductively from the branches, bursting with flavor and promise. This is what everyone in the audience would have been thinking, and they would be hanging on Jesus’ words almost like the grapes they were picturing in their minds… Jesus tells them that he is the root and trunk, and is therefore the true source of all life, nourishment, and growth. Without being connected to him you cannot grow, and you cannot bear fruit. The Vine and the branches have a natural, harmonious relationship. So perhaps it’s not really all that easy to do what Jesus commanded us to do: “Remain in me”. Because there are distractions, aren’t there? The world calls us away from his abiding presence, and we stay too busy to remain in contact with him. And as if those distractions weren’t enough, we have our OWN interests and passions to lead us away from him. We get impatient with his slow and subtle guidance, we get a little selfish, and we… Separate. Find a few minutes to connect today. Think about your vine, and picture it bursting with succulent grapes! Reflect on the fact that Jesus said (John 15:5), “I am the vine; you are the branches. If you remain in me and I in you, you will bear much fruit.” Graft your dry, impatient, selfish branches back into the vine. Feel his strengthening words flow into you, endure the pain of productive pruning, and bear fruit. It’s what you were created to do. You are the branches; I am the Vine. Rich flavor or color? I offer them both! To hinder what you were created to do! For that maximum growth that is fully mature. I am the Vine. Stay connected. Remain. “I am the Door.” What Do You Suppose Jesus Meant By That? “I am the door.” (John 10:9, NKJV) This somewhat curious claim by Jesus is interesting. Is it an analogy? A metaphor? A literal statement? What does Jesus mean? Is he saying he is made of wood? Is he talking about the door to a sheep pen where the shepherd counts and secures his sheep, locking them away from the predators who would devour them? Is he referring to Proverbs’ claim that wisdom sits at the door? Could he be referring to the Passover, where blood was smeared on the door posts to offer protection from death? Could he have meant the gates through which the king of glory would come in? Did he mean that He was the true doorway to God? Yes, yes, and yes. 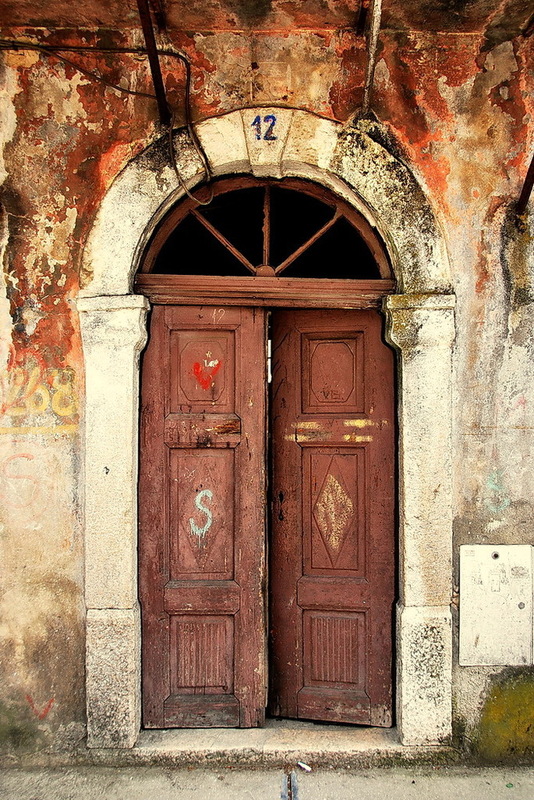 And in that culture and that time, the Jewish mind would also have seen the door as a portal which was actually representative of a man’s life. They observed where a man went and what he did as the indicators of his character and substance. In Deuteronomy 31:2, Moses said, “I am one hundred and twenty years old today. I can no longer go out and come in.” David prayed in Psalm 139:3, “You discern my going out and my lying down; you are familiar with all my ways.” Achish complimented David in 1 Samuel 29:6 by saying, “Surely, as the Lord lives, you have been upright, and your going out and your coming in with me in the army is good in my sight” The OT often spoke of a man’s “going out and coming in”, meaning that a man’s private righteousness should be consistent with the face he wore in public. Apparently that description was still common in Jesus’ day, since Luke described how the disciples began to trust Paul after his conversion in this way: “So he was with them at Jerusalem, coming in and going out.” (Acts 9:28) It was only by observing and comparing a man’s private life and his public one that you could truly know who he was. What doors does he open? Where does he go when he goes out? What do you observe at the portal of a man’s heart? I think Jesus was tapping into that whole line of thinking, and providing us an alternative to all of the doors in the world. When he said “I am the door”, he was offering security and protection; He was opening the storehouse of wisdom; He was shielding us from the Angel of Death; and most of all, He was standing upon his integrity and inviting you to partner with him in all of your “going out and coming in”. You can walk through a lot of doors, and stay relatively unaffected. But I warn you: if you walk through THAT door, your life will never be the same. To the Final Round and win it all! Is it door number one, or door number three? So tempting: what have you got to lose? And listen to the man who IS the door. 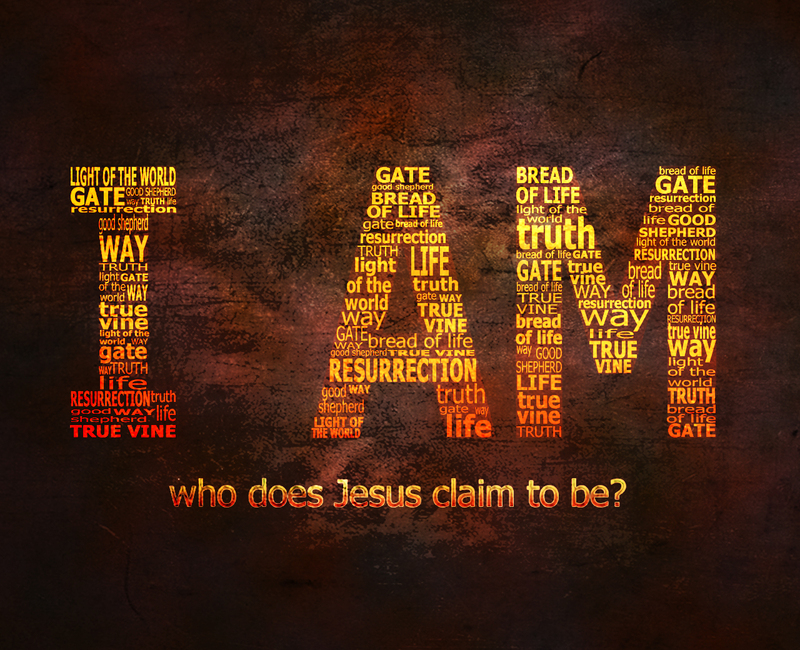 This is another of the “I am” statement from Jesus that is NOT usually listed as one of the seven great “I am” statements… Here he asserts not only connection with and validation from his Father, but also a present-tense existence BEFORE Abraham. When he said this, the Pharisees took up stones to cast them in judgment. This was heresy! How could this Galilean Rabbi claim to be equal with God, or use the name of the Almighty? They were shocked and offended that Jesus would say that he existed in the time of Abraham. How could that be? No mere man could say that he had lived hundreds of years ago! To falsely make this claim is to commit perjury or blasphemy; to believe this if it were not true is lunacy. This statement is a preposterous claim, so ask yourself: was Jesus immoral or crazy? Or perhaps you could just consider a third alternative: was he just stating the facts? Jesus uses the same statement here about identity that he did when he spoke with Moses: “I AM”. To the Pharisees, this claim directly tied Jesus to the name that YHWH used, an unthinkable thing to do. It links Jesus to the unspeakable name of God. And why on earth did God call Himself “I am”? Why do you think God identified himself this way? 2. He is in the moment with you– not stuck in the past, or even pie in the sky when you die by and by– but NOW. He comes to us NOW, wherever and however we are. It can be said that the only time you truly experience heaven on earth is when you pray, because in those moments you are connected to the eternal Father, transported into heavenly time as long as you abide in Him. This statement claims that every bit of relationship you build with him here is eternal. It will outlive earthly time and connect you with him both here and in heaven. You don’t have to wait for eternal life because yours has already started! And 3. He is the God who knows us and meets our needs… In a world full of temporary distractions and broken promises, He tells us, “I am sufficient for you”. Do you need forgiveness? That’s what I am! Do you need love? That’s who I am! Do you need encouragement? That’s what I am. Whatever you truly need… I AM. How such a thing could ever be. And, if untrue, was blasphemy. They knew when Abraham was born! That everything he said was true. If that’s the case, friend, what about you? If Jesus was God, what will you do? If Jesus was God what will you do? Moses was tending sheep out in a remote area when he saw a curious sight. He may not have realized he had just won the theological lottery, but he ended up having a conversation that changed his life. “Moses said to God, “Suppose I go to the Israelites and say to them, ‘The God of your fathers has sent me to you,’ and they ask me, ‘What is his name?’ What shall I tell them?” God said to Moses, “This is what you are to say to the Israelites: ‘I AM has sent me to you.’” (Exodus 3:13-14, NIV). Have you ever stopped to wonder God introduced himself to Moses as ” I AM”? It’s a fascinating descriptor, but what exactly did God mean by that? Russ Massey, my BSF teaching leader in Conroe in the 90’s, shared a situation that many of us could relate to. 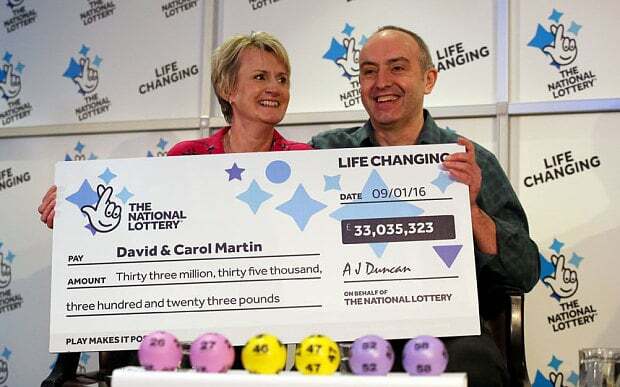 The Texas State lottery had begun, and he said that a couple of times he and his wife had fantasized about winning the lottery… No big deal, but they thought about all the good ways they could use the money (starting with a nice tithe back to God, of course). Nancy and I have done the same thing—played the “if only” game… Wouldn’t it be great if we won the lottery? If only we won the lottery, then life would be great! If only we had that money, we could pay off the kids’ mortgages, set up some education funds for grandchildren, and generally provide many, many benefits for those close to us. (And yes, some of those benefits might come our way as well…) We could retire easily, we could have things, we could travel, and we would be set. The Lottery could solve all of our problems… “If only” seems like a pretty innocent exercise, one that most of us have played from time to time. But as Russ shared that scenario with us, he said something that stopped me in my tracks. He said we play that game for many reasons, not just winning the lottery. If only I got that promotion, if only we lived in a different neighborhood, if only my spouse were a better person, THEN life would be better. Russ said, “Isn’t it strange that we never put God in that blank after “if only”? If only GOD, then life would be better. He went on to say that when we play the “if only ______” game, then whatever we use to fill in the blank, that is god to us. We may not consciously worship it, but it is. Kinda makes you stop and think about what we put into that blank and why. Russ finished his thoughts by connecting some important dots. God called himself “I AM”, which fits exactly into the “if only” game. We say, “Lord, if only I had what I need.” God says, “I AM” what you need. “Lord, if only I felt loved…” I AM love. “Lord, if only I knew the way…” I AM the way. The logic behind Russ’s conclusion is perfect. When we try to plug in temporal things to complete ourselves, we stay incomplete. Moses objected to accepting God’s call because he felt unworthy. As he told God how he (a murderer and a fugitive) was not adequate or willing to lead, God understood. In fact, the Lord had already countered all of Moses’ objections when He told him His Name. Can’t speak well? I AM going to provide for that. Afraid of being ill-equipped? I AM sufficient. What about you? What are your objections to serving God with all of your heart and soul? Lord, if only I were a better speaker… If only I had more time… If only I were better prepared! God would say to you the very thing He said to Moses: “Whatever you need… I AM.” Don’t wait on the lottery. Just Go. "I AM", said God, but Moses asked if he was worthy for the task. Oh Lord, he said, I'm just a man with halting speech! Without a plan! God said, "Whatever you need, I AM. When people grumble and resent you, tell them that I AM has sent you! If people say you are a sham, tell them that you serve I AM!" Moses learned God's mystery. The rest, of course, is history.